In our previous post, we tried to explain how to form the past continuous tense in English. In this post, we will try to show you when you should use the past continuous tense. Here, you will find two videos. The first video is called Grammar Point and it contains an explanation of the grammar and a simple grammar challenge. The second video is much more demanding. It is a video by the Youtuber Nigahiga and your task is to answer the questions during the video. Moreover, there is an infographic for visual learners. In this infographic, we try to explain the grammar clearly and visually. If you find this post useful, please like it and share it on Facebook, Twitter and Google. Thank you. Watch the video and listen to the explanation of the usage of the past continuous tense in English. In the second part of the video, there is a grammar challenge. You will hear some sounds and your task is to say what happened. You have six seconds to provide your answer before you hear the correct response. If you feel that you need some visual support to understand the grammar, you can try the following infographic. 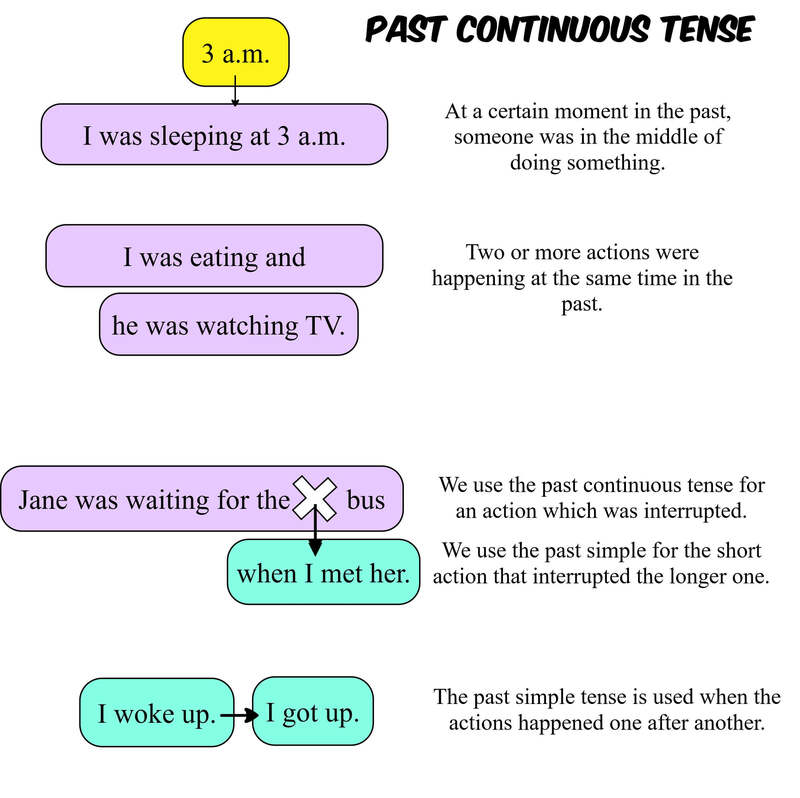 In this infographic, we try to explain the usage of the past continuous tense. To practice the grammar, try the following video. Watch the video. The recording will stop after a while and you have to choose the correct answer for each question. Most of the questions concentrate on the difference between the past simple and continuous tense. Watch the video and choose the correct options.